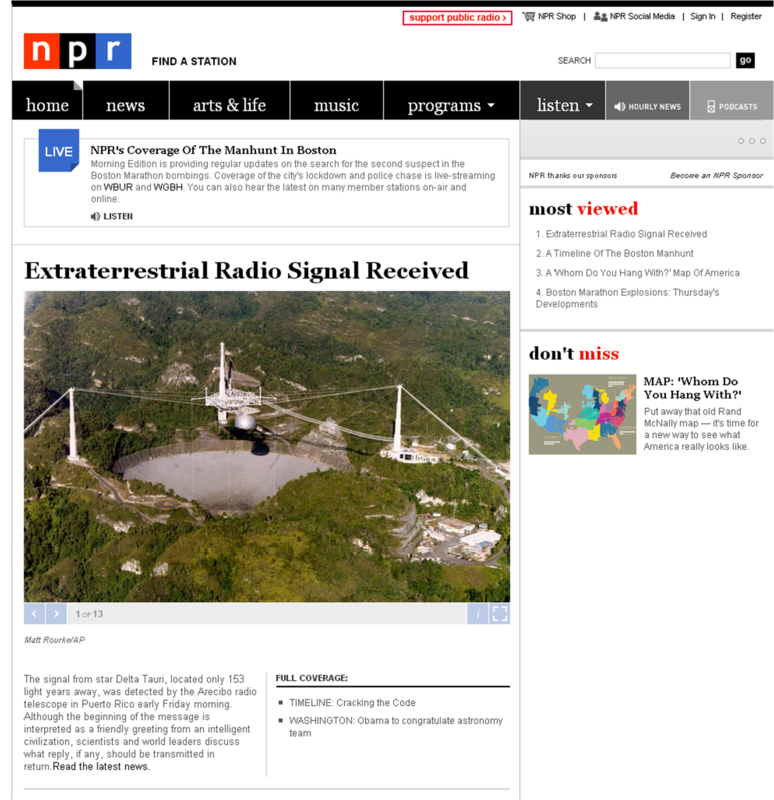 Day 134: Extraterrestrial Radio Signal Received! Did you get any useful information from that message? Describe the message. What did you hear? Transcribe the message. Do you see a pattern? How can we decode it? How many different tones are there? How many sounds all together? Might it be a word? A picture? Why/why not? How are digital photos encoded? What do you see when you enlarge a digital photo? How many different grid configurations will yield 35 squares? What’s special about 5 and 7? Why 35 total sounds instead of 36? Decode the message for both possible arrangements. Which one yields a message? What about the other one? Is this message real? How do you know? Then we looked at the radio message sent from Arecibo into space in 1974. Can you try to decode it?